One of our most popular choices, Coasteering is an adrenaline pumping activity for you to push your limits mentally and physically! 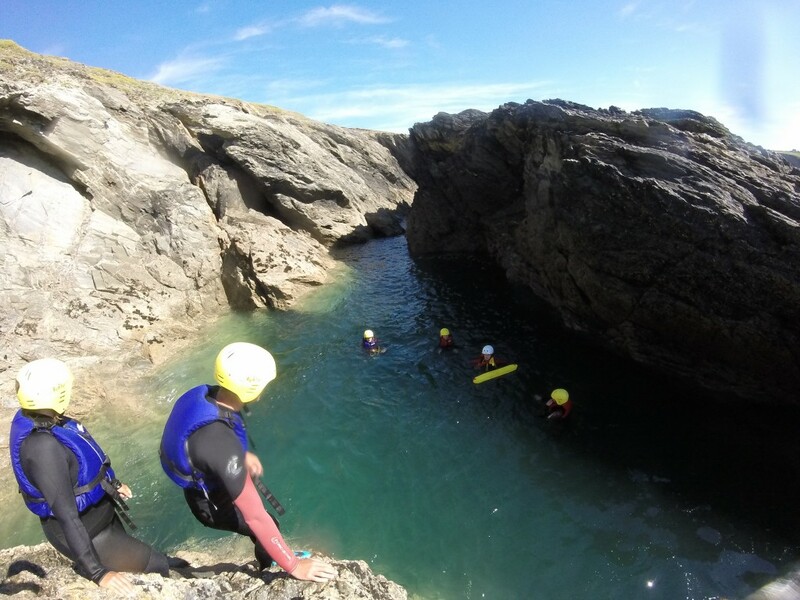 Swim, scramble, traverse, explore caves and take the plunge with some big jumps if you dare! A great way to discover the Cornish Coastline in a unique and exhilarating way. You will also get to see a variety of caves, blowholes and wildlife including the local seals! Let us know your skill levels as we can cater for complete beginners and children (5yrs+) to the experienced and hardy military customers! Coasteer sessions are 2-3hrs long and are worked around most tides depending on location. All instructors are Beach Lifeguards and WSA/EBO/ICA Coasteering Guide qualified and highly experienced. “It has been such a pleasure to explore new via feratta routes with EBO in the Dolomites, although I hadn’t been there for some years the team made me feel welcome and put me at ease straight away. I grew in confidence as the days went on, thank you for all your invaluable advice, your wealth of knowledge and professionalism shone through at all times. I will be back again soon. Thank you”. "Absolutely great service. Both of the instructors had great knowledge and experience and we would definitely recommend ebo to anyone looking for an adventure experience we would certainly do it again with them in a flash"
"We found the weekkend to be extremly enjoyable, Instructors are very knowledgeable and relaxed. The best AT package we have had in years, i know the rest of the lads are looking forward to doing it again"
"Ebo adventure put on a fantastic surf and costeering AT package over 3 days for us. Big thank you to all the instructors, everyone really enjoyed themselves. Would recommend this to anyone to push your limits." "The company was easy to work with through all the planning stages. The instructors were all fantastic, I am now planning the trip again for next year and look forward to working with EBO. I strongly recommend the company to anyone looking for an adventure experience in Cornwall." "The instructor was very professional and thorough with all safety aspects while keeping everyone comfortable in and out of the water. I would recommend these guys to anyone interested in having an awesome time!!" 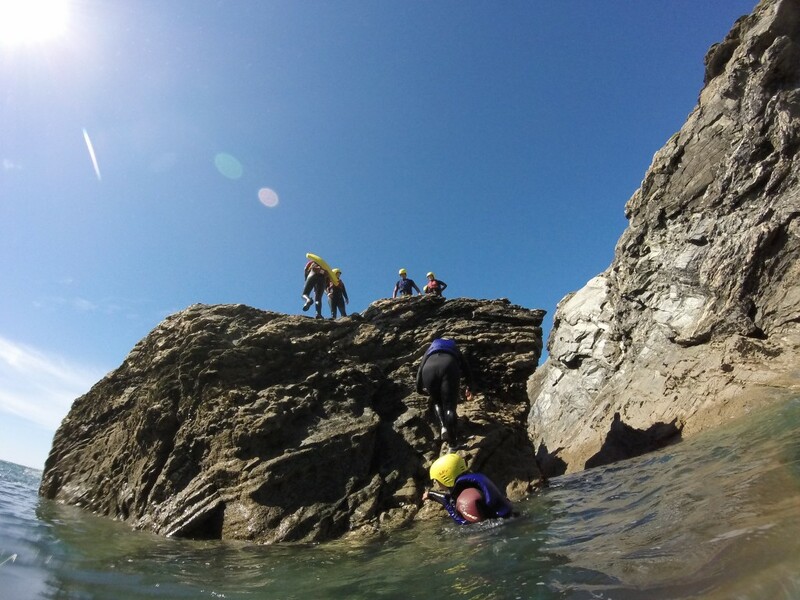 "Great instructors who safely & professionally guided us through the basics of coasteering. Was great to explore the area from a different angle and the jumps and caves were exciting & just right to get us out of our comfort-zone and into something more exhilarating. Will be arranging another session next year." 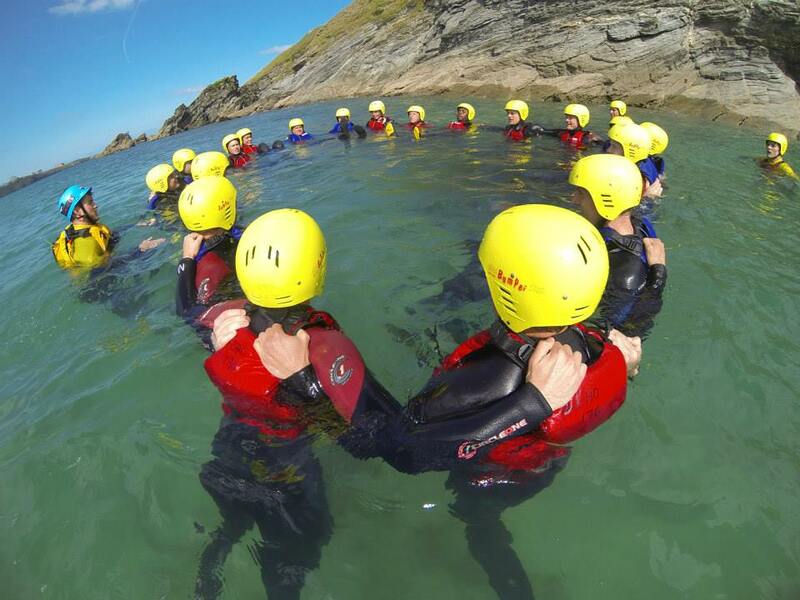 "Thank you so much to all at EBO especially Nick, Lewis & Ben for our amazing day coasteering. Literally the most fun I've ever had & will be booking again ASAP. Highly recommended :-)"
"By the end of the day everyone had successfully jumped off cliffs, explored caves, swam with Seals, rock climbed and even stood up on a surfboard!! Hope to do it all again at some point, GREAT FUN and challenging at the same time!" "Went climbing with Ben from EBO on a beautiful saturday. We went to bosigran and what an impressive site to climb. I feel he was well suited to guide an intermediate climber like myself. I look forward to doing some more climbing with EBO in the future."